Can Do or “Sloane”, is an 14 year old large pony, 14.0 1/16 with a permanent card. He is bay and cute. A good mover and jumper with a lead change. He is well broken and will do counter canter, shoulder in, etc. He has terrific ground manners and is not spooky. 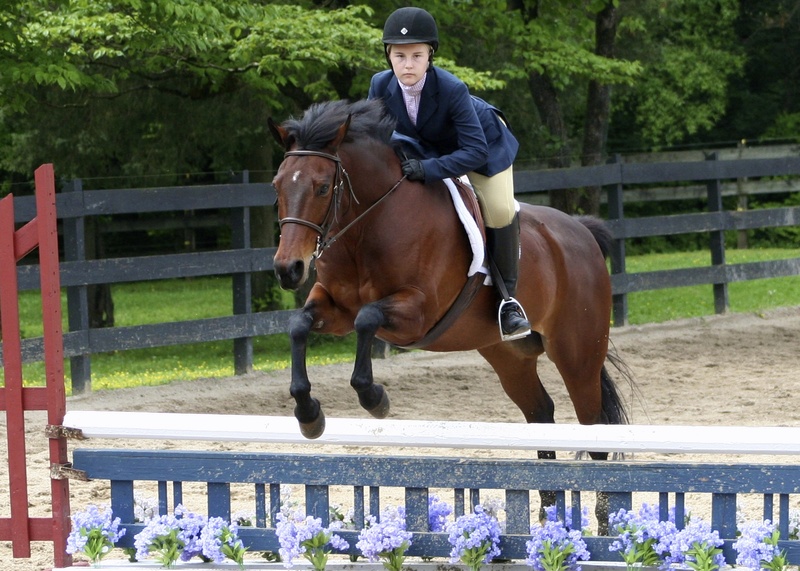 He has had moderate show experience locally as well as a few outings in the children’s pony. 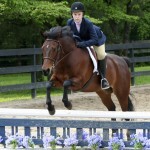 He is ready for short stirrup or children’s pony and is eligible green. He has the best hair of any pony alive with a huge bushy lovely tail and a not overly exuberant mane.